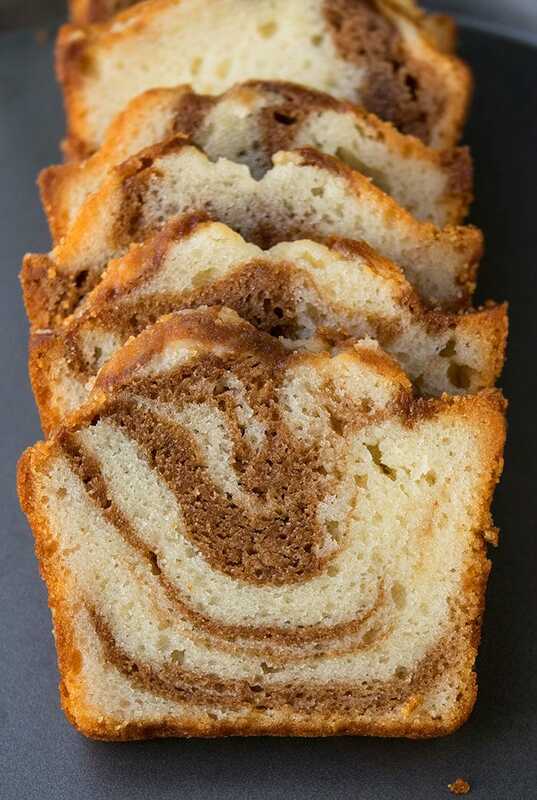 Quick and easy cinnamon roll cake recipe (cinnamon cake or cinnamon swirl cake), homemade with simple ingredients. Super soft and moist! 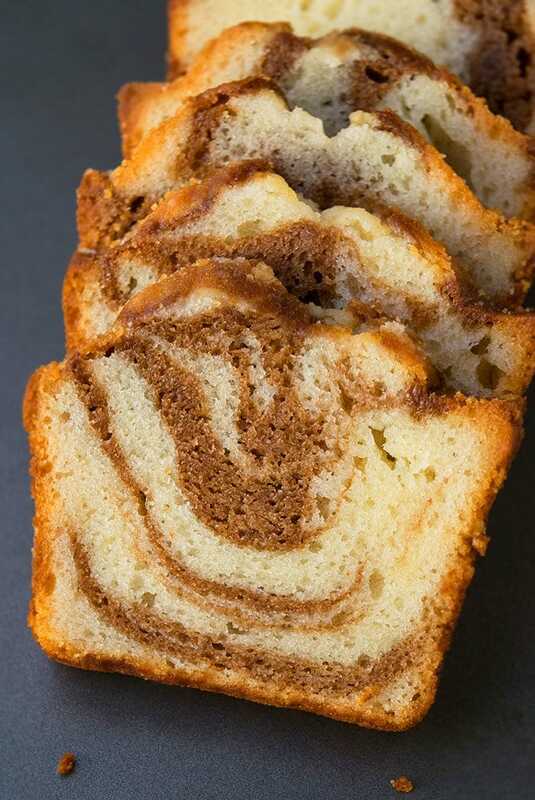 Starts off with a yellow cake mix and is loaded with swirls of cinnamon sugar. Imagine all the flavors of my Easy Homemade Cinnamon Rolls (1 Hour) but in a cake form. That’s the beauty of today’s recipe! You can enjoy it for dessert or even breakfast and brunch. This cake surprisingly has no butter or oil but it still has this amazing butter flavor, thanks to the use of vanilla pudding mix. 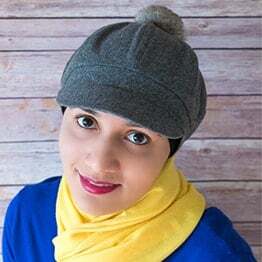 It’s very soft and fluffy but still firm, like a pound cake and overall, has an incredible texture. How to make cinnamon roll cake? Prepare the cake batter by mixing together cake mix, pudding mix, eggs, milk, water. Spread more batter on top. Sprinkle cinnamon sugar mixture again. 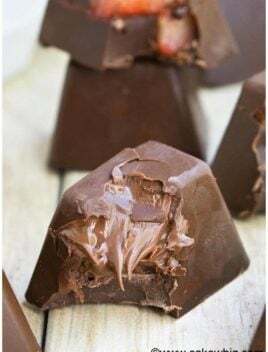 Add chocolate chips- Nothing tastes better than chocolate and cinnamon together. Add some mini chocolate chips in the cinnamon mixture. 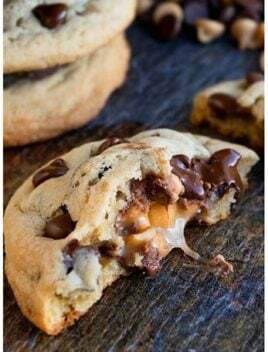 Don’t use regular sized chocolate chips. 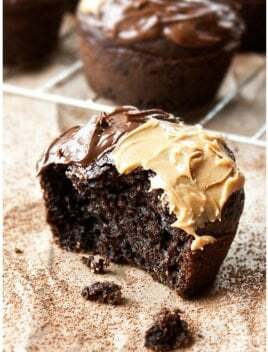 They must be mini-sized to prevent the chocolate cinnamon cake from sinking to the bottom of the pan. 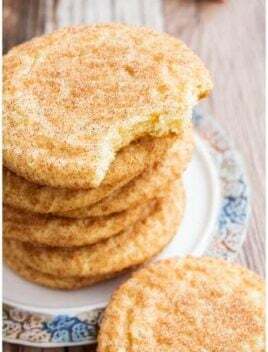 Add a crumb topping or streusel topping– After you have spread the cake batter in a loaf pan, top it off with a streusel topping (made by mixing together coconut, flour, butter, some sugar into a crumbly mixture) and then, bake. This makes a great cinnamon coffee cake, also known as cinnamon streusel coffee cake or even cinnamon crumb cake. Make a bundt cake– Instead of a loaf pan, use a simple bundt pan (10 cup pan) without any detailed/ intricate designs. Make sure to grease the pan generously and also, be very careful when removing it from the pan so that the cinnamon bundt cake doesn’t break. Apple cinnamon coffee cake– Mix in 1 fresh apple (roughly diced) into the cake batter. Use full fat ingredients- Such as whole milk and full-fat pudding mix because that makes the cake rich and moist. No fat-free or low-fat ingredients! Brand of cake mixes– I have used these brands of cake mixes successfully: Pillsbury, Duncan Hines and Betty Crocker. I have not tried any other generic brands to know how it would affect this recipe. Also, yellow cake, golden cake or butter cake mixes all work well. Don’t over-mix cake batter– Because this will yield a tough cake and it can also cause the cake to collapse/sink during baking. Mix until all ingredients are just combined. There may be a few lumps but don’t worry about smoothing them out. Cinnamon swirls– I did 2 layers of cinnamon sugar but you can just do 1 layer too and use a knife to swirl everything together. 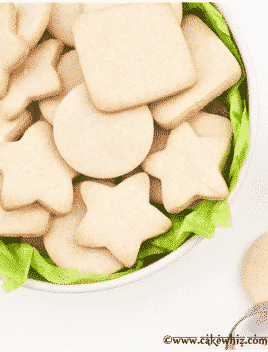 Don’t use sugar-free ingredients– Because it adds an odd after-taste. This is especially with regards to pudding mix and cake mix. 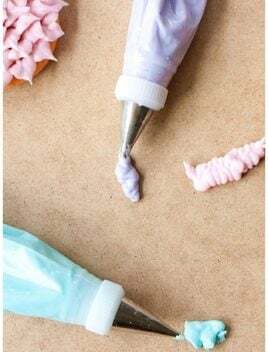 Add a glaze– I didn’t add it because the cake was already sweet but you can make a simple sugar glaze and drizzle that on top of the cake, once it has fully cooled down. How to cut perfect cake slices? Chill the baked cake for 5-6 hours and then, use a sharp knife to cut smooth slices without crumbs everywhere. For this recipe, I went to Meijer and tried out their “Shop and Scan” method of shopping. If you are like me and detest those long lines at check-out, you are going to love this method. 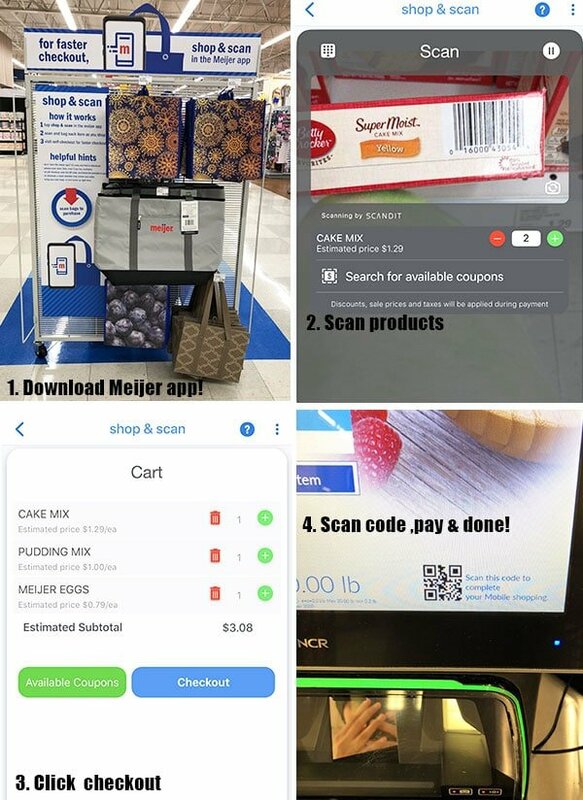 You simply walk around the store, gathering your groceries and scanning the barcodes on your Meijer app. Then, you get to the self-checkout station and just pay and leave with your groceries. It is so easy and so convenient! This will be such a time-saver, especially during the holidays, when those lines get super long and annoying. 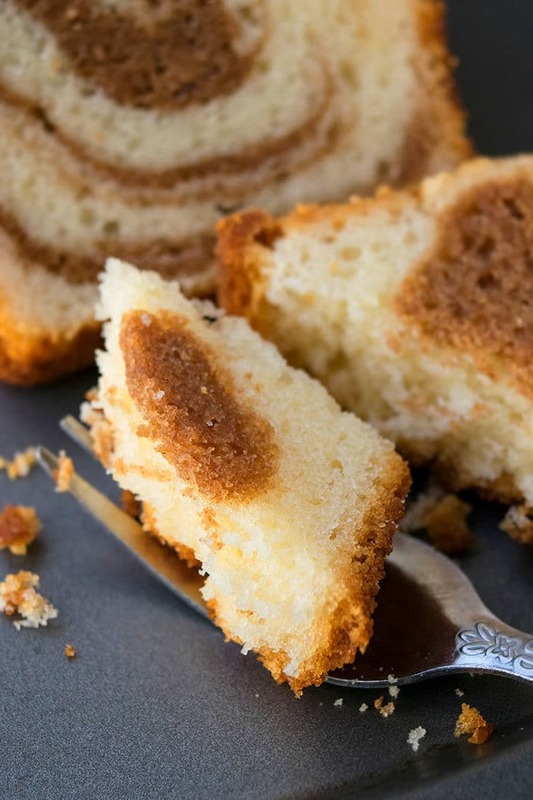 Quick and easy cinnamon roll cake (cinnamon cake), homemade with simple ingredients. 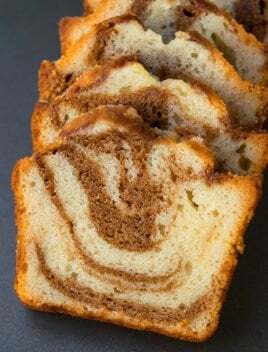 Starts with yellow cake mix and has swirls of cinnamon and brown sugar. In a large mixing bowl, whisk together cake mix and pudding mix. Add eggs, milk, water, vanilla and mix until batter is smooth. Keep aside. In another mixing bowl, whisk together sugar and cinnamon. Spread some of the cake batter in a greased and floured loaf pan (Dimensions: 9×5). You can also use 2 smaller loaf pans. Then, sprinkle half of the cinnamon sugar mixture. Spread some more batter on top and sprinkle remaining cinnamon sugar mixture. Spread remaining batter on top. Use a butter knife to gently swirl everything together. Bake at 350 degrees for 45-55 minutes or until an inserted toothpick in the center comes out clean. Then, gently run a spatula around the cake and remove it from the pan. Enjoy!